Several thousand Euros a square metre, property in Paris is expensive. 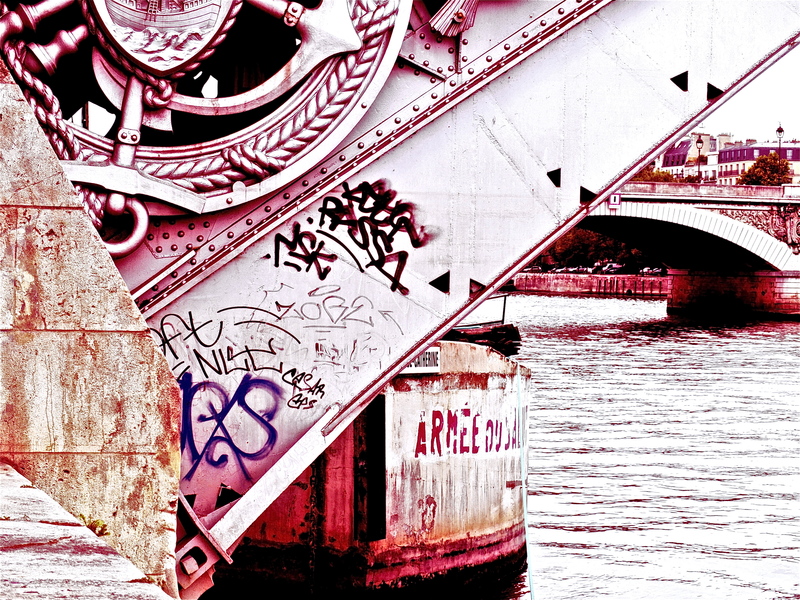 Once a city for everyone, Paris is now just open to a few. Traditional working class sectors like the 18th 19th and 20th Arrondissements are now rebranded and sold as “up and coming”. The gentrification of Paris has been going on for years. So where do the homeless and immigrants live ? A few photos. 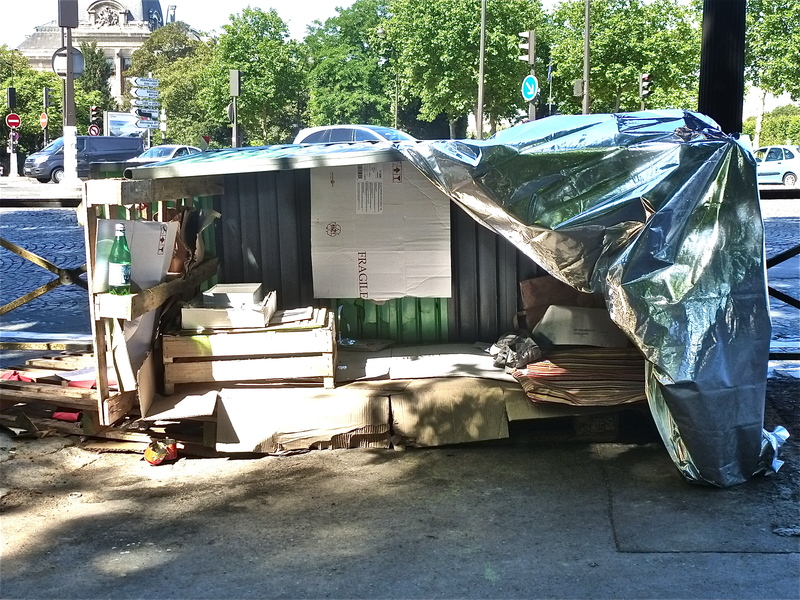 Made from rubbish and salvage, a “home” for the homeless near Austerlitz station. 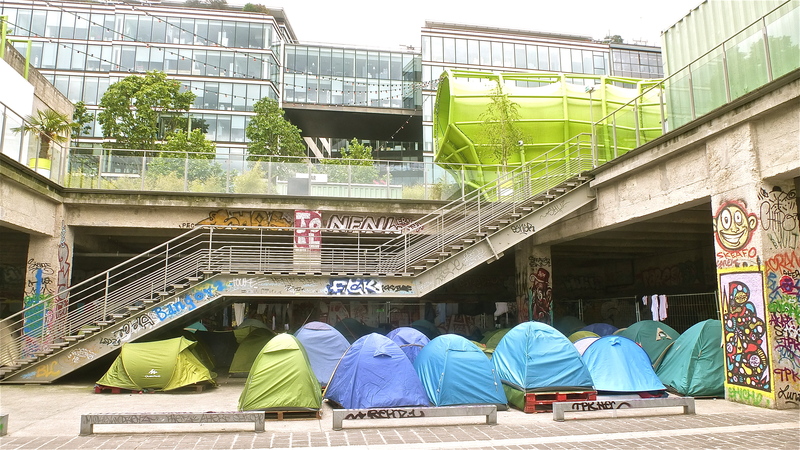 Tent city – homeless and immigrants pitch their tents at a new arts and media center on the banks of the Seine near Austerlitz station – the art centre was launched in great pomp a few years back as the first phase in the redevoloppment of the Paris docks – truth to ell, Paris has never had dacks like London or Amsterdam or Antwerp – this was a “call-in” quay for river barges. Camp cleared away late 2017, just before the Olympic Committee visited Paris. 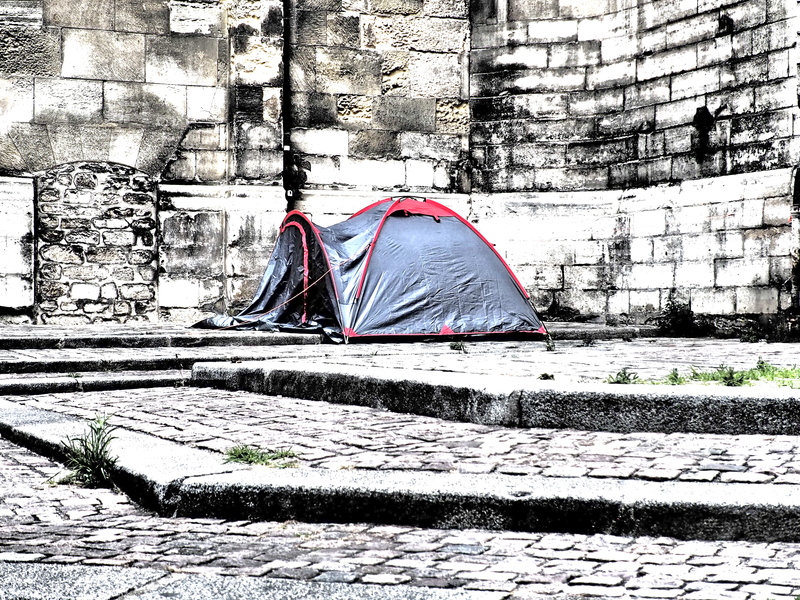 Tents spring up all over Paris. Immigrants, homeless people, the working poor. Pitch your tent on hallowed ground and more specifically on church proerty and the police cannot move you on. This is taken in the St Paul area just a short walk from the Paris City Hall. How romantic, living on an old canal barge, moored on the banks of the Seine in the heart of Paris – very nice if you have plenty of cash. Mooring costs are phenomenal and don’t forget to get plumbed in with water supply and sewage outlets. A lot of these barges have suffered in the recent floods. 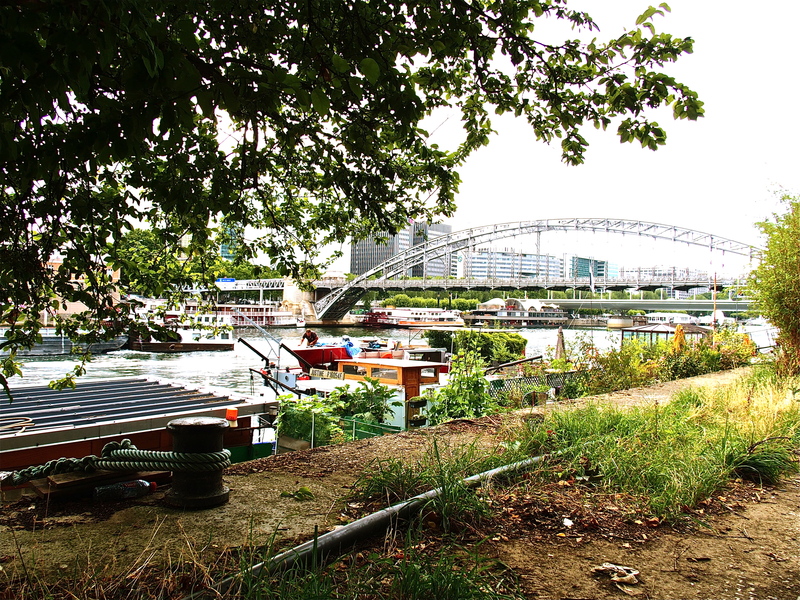 Old Salvation Army barge, moored near the Pont d’Austerlitz, in between Austerlitz station and the Gare de Lyons. The barge is now closed and there were plans afoot to develop it into gallery space, but it sank in the recent floods. Just 100 metres away, another former Salvation Army barge that has been developped into a luxury hotel. Posted in Art, Boats, canals, France, Mobile homes, Paris, photography and tagged cleaning up, floods, Gare d’Austerlitz, homeless, immigrants, Les docks de Paris, Paris, Paris Olympics 2024, Paris property, property prices, The Seine. Bookmark the permalink.